Historic landmarks, renowned conservatories and state-of-the-art concert venues offer incomparable experiences for student performance groups visiting San Francisco. For band and choir directors alike, planning a trip for student groups is never an easy task, and the most important aspects to consider are arguably the following: Where will my band or choir perform? What sorts of amenities do these performance venues offer, and how can I rent out a space? How many guests does X venue seat? These questions can rattle your brain around the clock, so we’re here to make planning a little easier. The following five locations are our top picks for performance venues for student groups in San Francisco. Your band or choir group is surely to get the best out of any of these outstanding, fully-equipped and state-of-the-art concert halls. 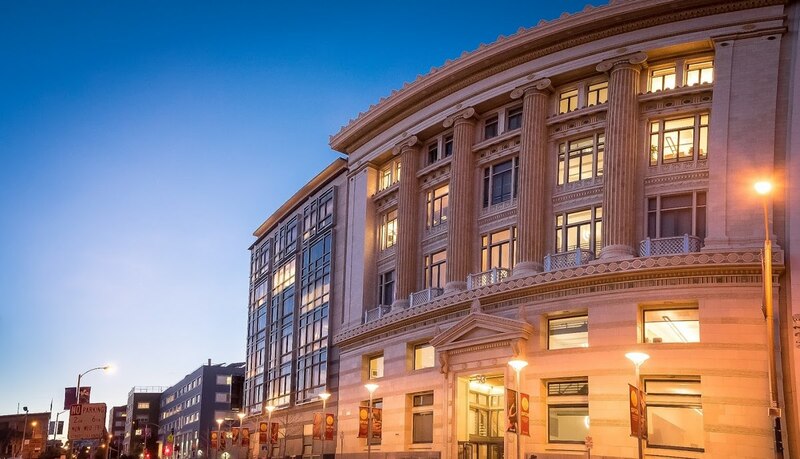 Student groups will surely be thrilled to perform at one of the largest performance venues in the nation, San Francisco War Memorial and Performing Arts Center (SFWMPAC). Covering seven and a half acres and seating 7,500 amongst its venues, SFWMPAC was developed in the 1920s, and commemorates those who served in the First World War. The largest of its venues, War Memorial Opera House, seats 3,146 and has been home to the San Francisco Opera since 1932, along with the San Francisco Ballet. Declared by TIME magazine as “…a house made possible by all the people of San Francisco,” War Memorial Opera House remains one of the most sought after performance venues in the Bay area, and is one of the last Beaux-Arts structures built in the United States. 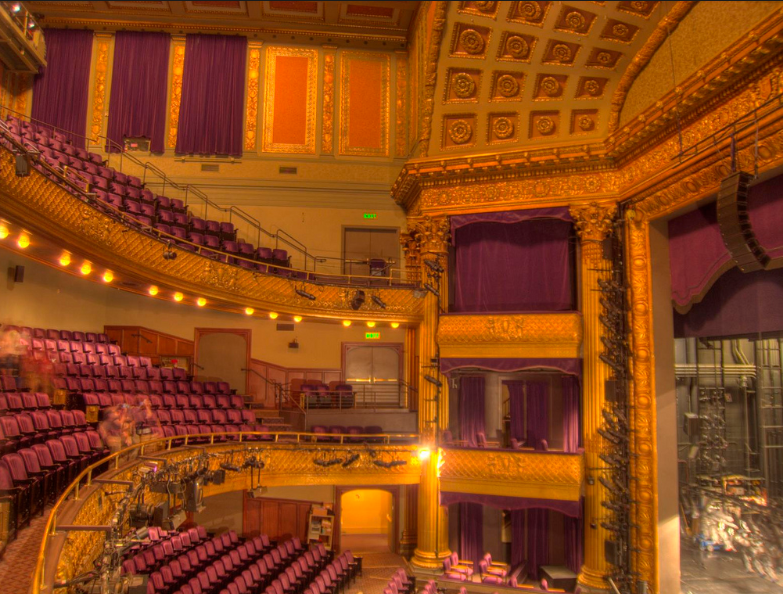 SFWMPAC’s Veterans Building includes Herbst Theatre, a 916-seat smaller concert venue ideal for more intimate performances. Zellerbach Rehearsal Hall contains three different rehearsal facilities that can be used for a variety of rehearsal purposes. Inquiries for venue rentals can be found online here. 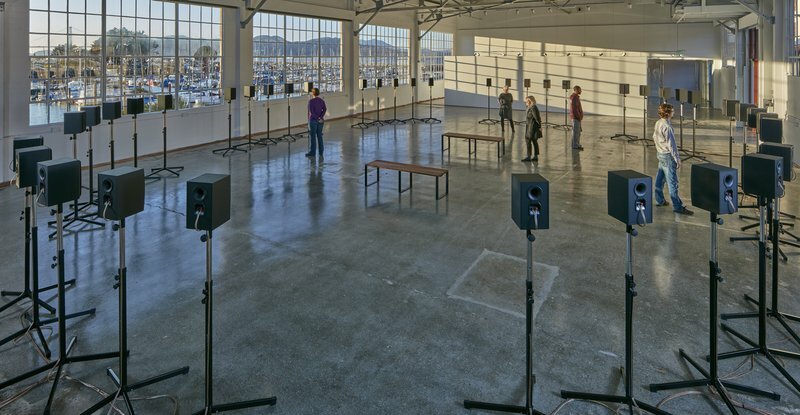 Part of the Golden Gate National Recreation Area, Fort Mason Center for Arts & Culture (FMCAC) constantly gives back to the community of San Francisco and strives to uphold the importance of music and art. This commitment to supporting San Francisco’s artistic community is exemplified by providing approximately $2.5 million in annual grants to local arts organizations. FMCAC hosts thousands of events throughout the year and nearly two dozen nonprofit arts organizations as permanent residents, such as the Pulitzer Prize winning Magic Theatre, City College’s Fort Mason Art Campus and BATS Improv. Its annual artistic programming is constantly evolving, and includes everything from theater and dance performances to art installations and educational and cultural classes. A National Historic Landmark, FMCAC’s 13-acre campus offers four performance venues to choose from and ample parking space. Cowell Theater—FMCAC’s largest performance venue—seats 437, is wheelchair accessible, contains five full backstage dressing rooms and professional lighting and sound equipment. A historic performance space, Southside Theater is built for smaller events, seating 162 and featuring an elevated, proscenium stage. Other options for performances include FMCAC’s firehouse and chapel. Inquiries for rental availability can be found here. Recently celebrating its 100th anniversary, San Francisco Conservatory of Music (SFCM) builds a foundation and framework for young students to succeed not only through their music, but also intellectually, artistically, professionally and individually. What began as a minute piano school in 1917 with only four pupils later developed into the West Coast‘s most respected music conservatory, offering classes in orchestral instruments as well as theory, composition and voice. SFCM’s world-class facilities include the Civic Center, equipped with practice rooms, teaching studios and three performance halls. 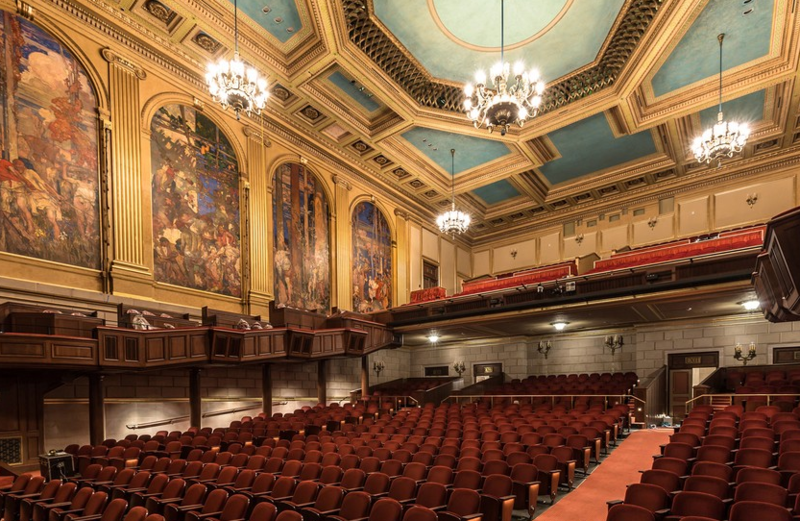 Accommodating an audience of 450, Caroline H. Hume Concert Hall was created in a renovated historic grand ballroom, hosts internationally renowned visiting artists and serves as the master class hall. Specifically designed for chamber music, small ensemble performances and recitals, Sol Joseph Recital Hall seats up to 121 and features theatrical lighting and balconies enhancing the staging of opera scenes. Ideal for recitals, ensemble performances, opera staging and blocking rehearsals, Osher Salon seats up to 100 and provides an intimate performance venue option. For inquiries on rental spaces, check out SFCM’s website. San Francisco’s earthquake and fire of 1906 caused a crisis amongst its performing arts community; the city had lost all eight of its downtown theaters. Placing high priority on the reconstruction of San Francisco’s performing arts buildings, the city was determined to overcome this natural disaster. Resulting from this, Geary Theater became known as the only performing arts building that remained in full time operation as a professional theater since 1910, the year of its completion and opening. Cited as the “traditional seat of legitimate drama in San Francisco,” Geary Theater is home to the American Conservatory Theater (A.C.T), a large nonprofit theater company offering both classic and contemporary theater productions. Boasting stunning Classical Revival and Late Victorian style architecture, Geary Theater is listed on the National Register of Historic Places. Featuring full theatrical lighting and sound equipment, a trap room, orchestra pit, dressing rooms and a backstage green room, the theater seats up to 1,025, with 495 orchestra seats, 290 mezzanine seats and 240 balcony seats. Band and choir directors can inquire about Geary Theater rentals here. Also listed on the National Register of Historic Places, Bayview Opera House is reputed to be the oldest theater in San Francisco, established in 1888. Located in the heart of San Francisco’s most ethnically diverse community, Bayview Hunters Point, the opera house operates as a community cultural and arts center by the nonprofit Bayview Opera House, Inc. 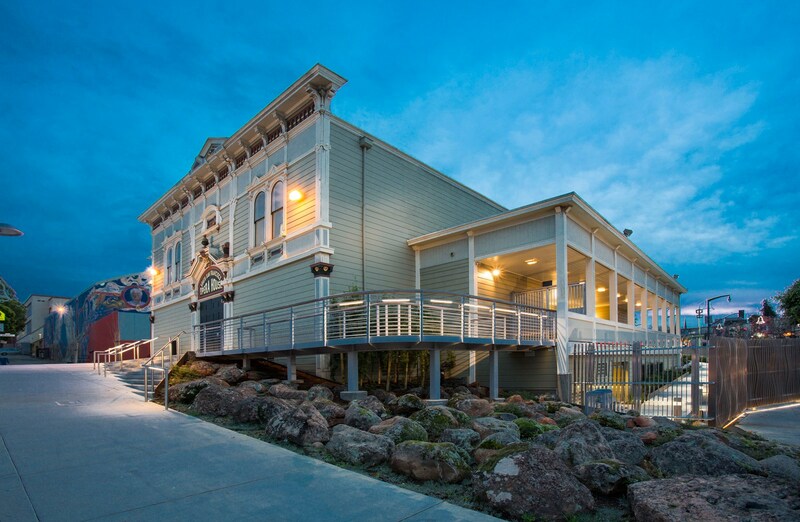 Maintaining a significant place in the history and culture of Bayview Hunters Point, Bayview Opera House’s recent 2014 renovation now features a classic proscenium stage, state-of-the-art technical equipment, three dressing rooms, a food prep area, garden, lawn and parking lot. Seating up to 300 guests, the opera house now features an outdoor stage, perfect for warmer months in San Francisco. All proceeds from rentals benefit the Dare 2 Dream ARTS youth enrichment program for Bayview youth. For more information on Bayview Opera House rental information, click here.